Seriously! 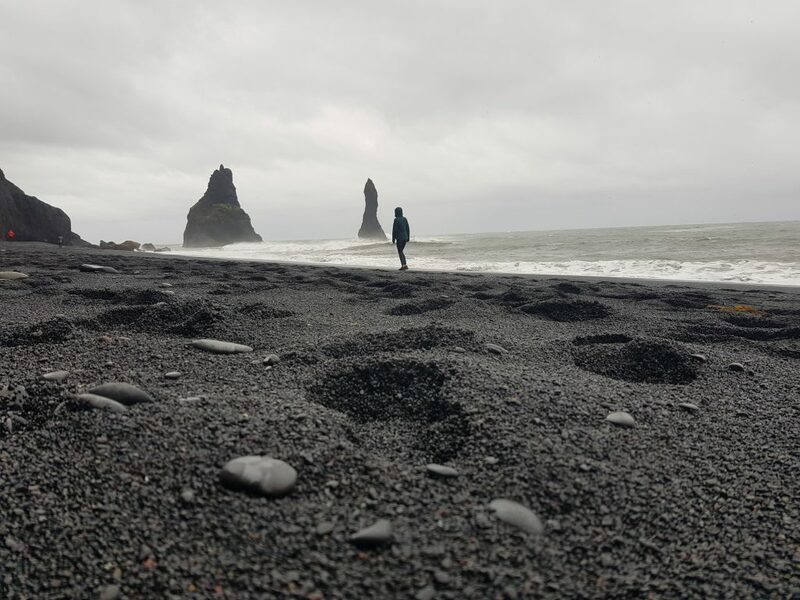 People – what is all the faff about Iceland? We really had to do this trip. 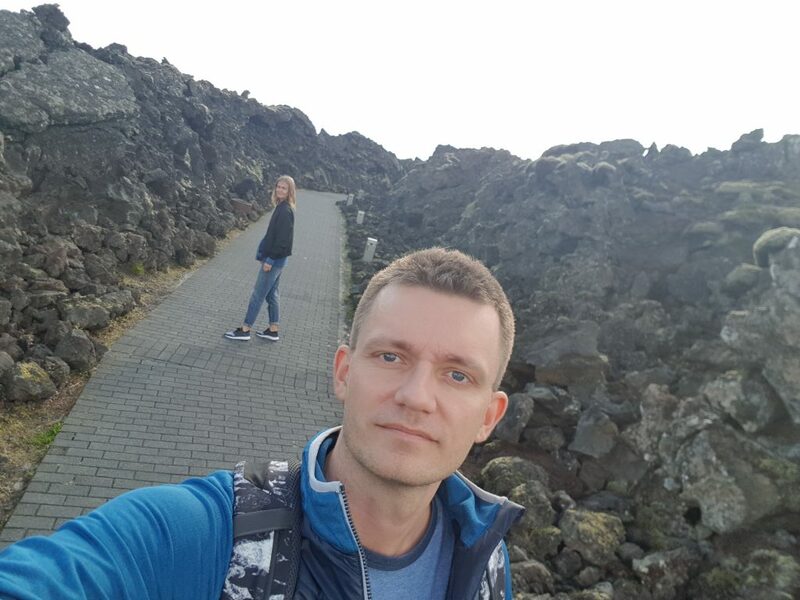 Just to see, if there are interesting places to visit in Iceland. 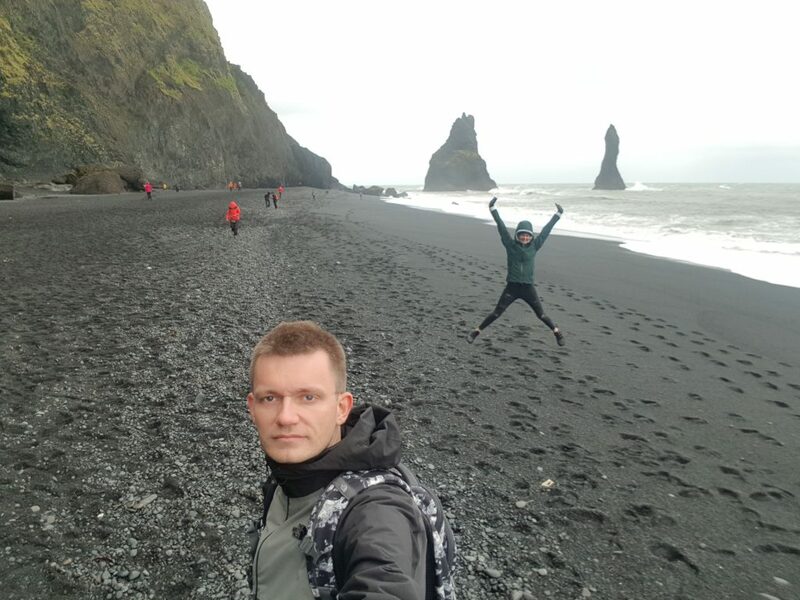 We were looking for any attractions in Iceland, which were worth to pay a visit. 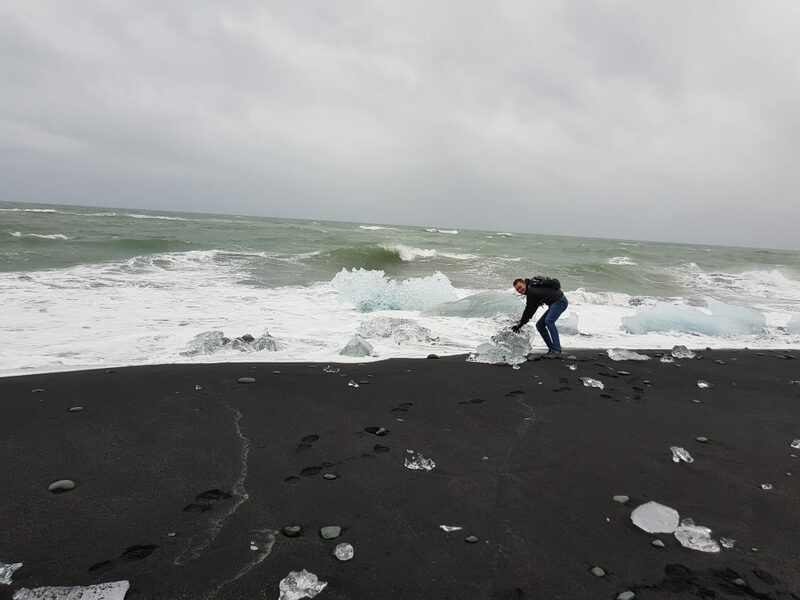 You probably think that seeing ice would be one of the most interesting things to do in Iceland, right? Do you really hope you will see ice everywhere? Good luck with that my friend! I guess, they must have stolen the name from Greenland as there is not much ice to be seen. 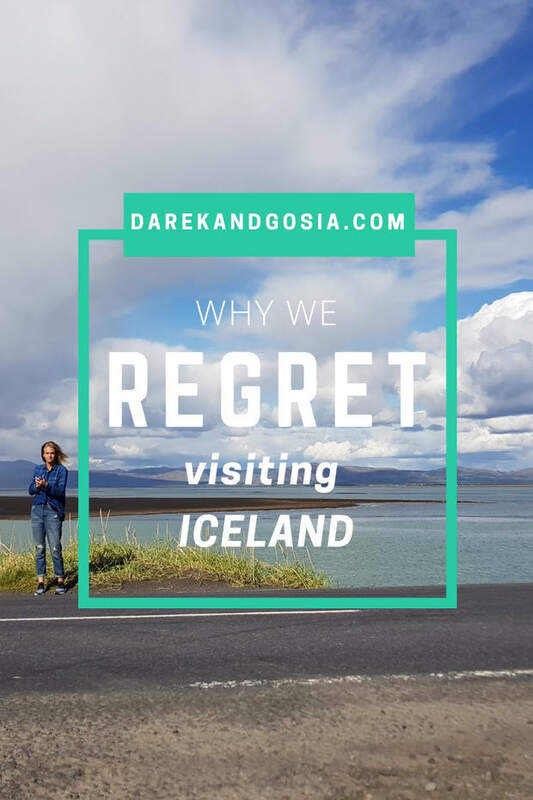 So, why would you like to visit Iceland if they lie to you from the start?! 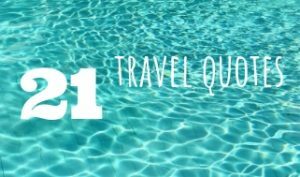 READ ALSO: Do I have to shower naked at Blue Lagoon? As they say in Iceland “if you are not happy with the weather, just wait and it will change soon”. Dammit! We would have seen nothing if we were to follow their advice! Be strong! Go exploring in the rain! It will not stop! 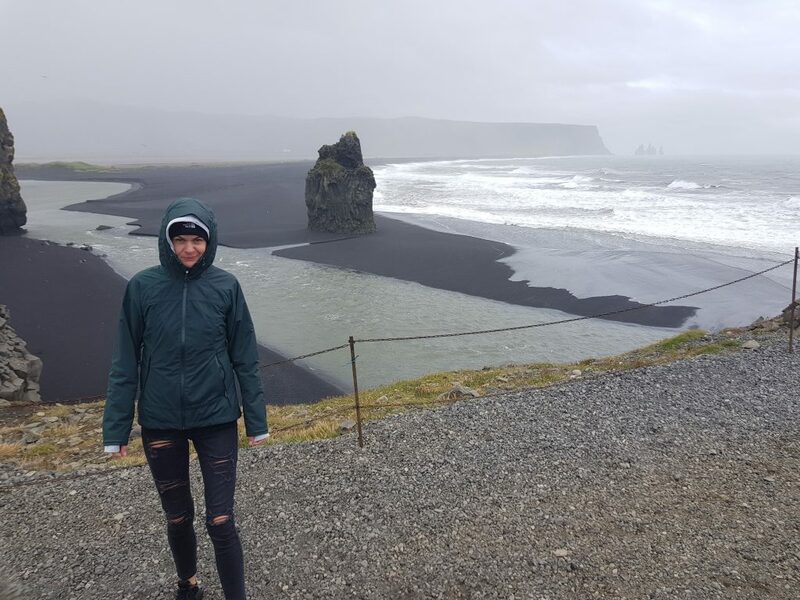 Who would even bother to visit Iceland to travel in the rain? 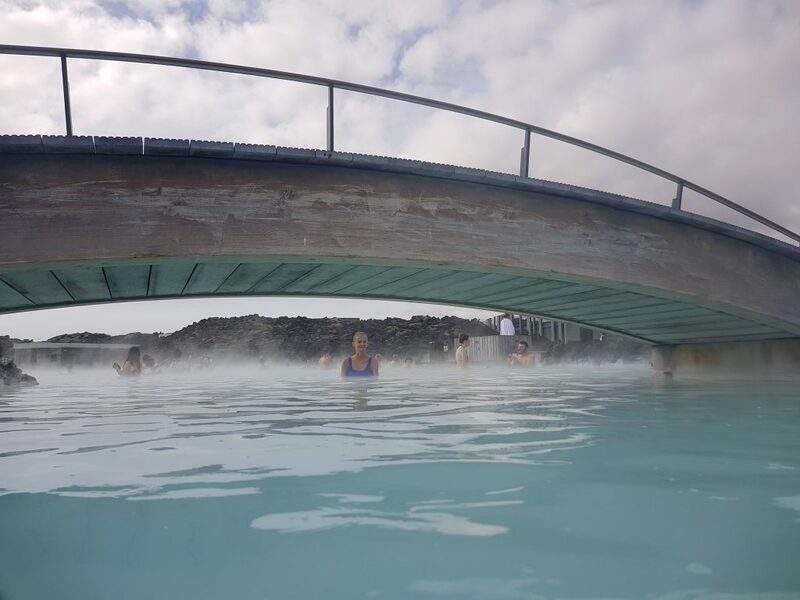 Do not visit the Blue Lagoon! They make you pay to get the hot bath! Are you that crazy to pay for it? You can get a nice bath in your hotel! 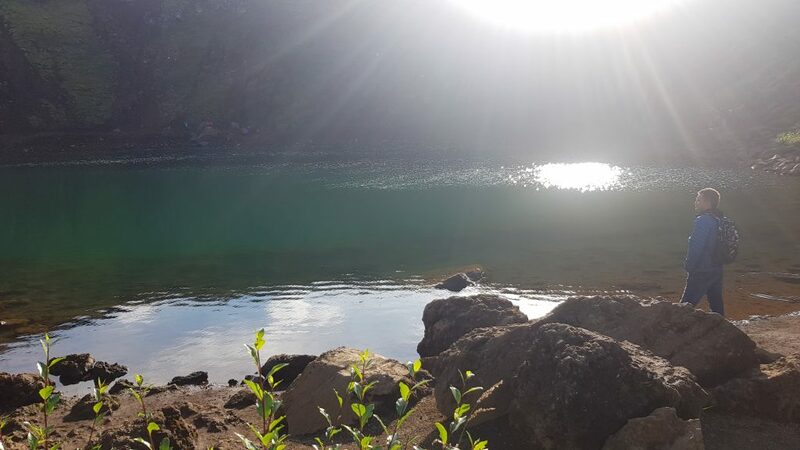 The water is way too hot (39 Celsius) – I would rather have my bath in a bit colder water. You will have to take a shower before bathing! 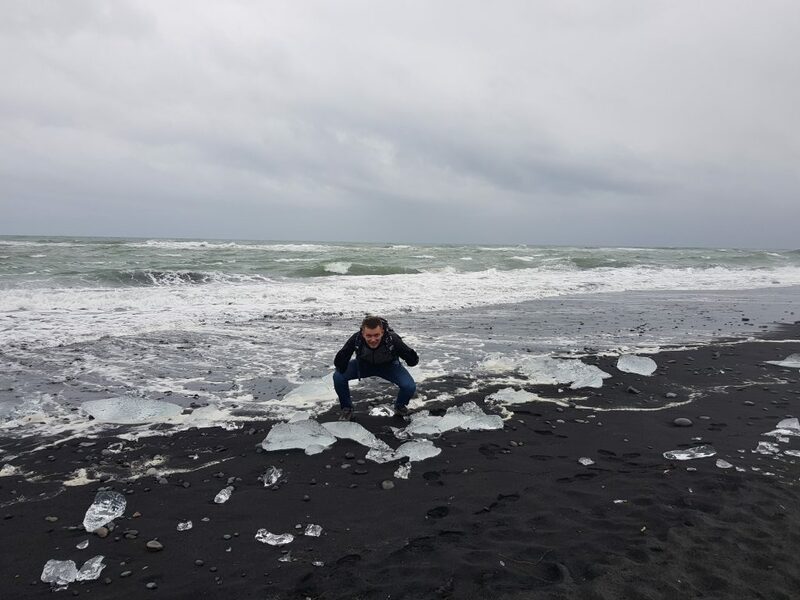 – Icelanders are very weird. They give you a kind of mask instead of soap! What shall I do with it? Put it on my face?! 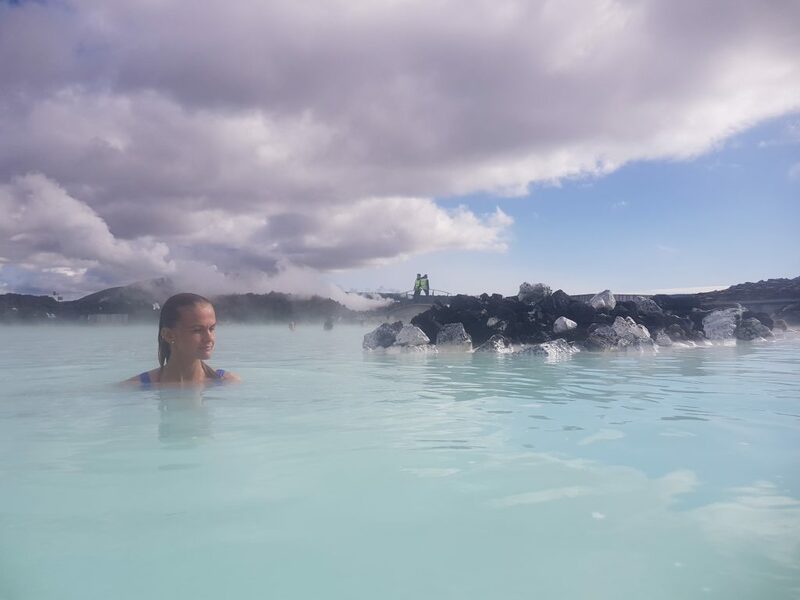 While you are bathing, there are dozens of people taking pictures – well, Icelanders don’t know what privacy is! 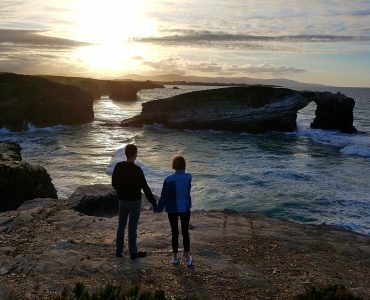 There are some great hotels not far from the Blue Lagoon, but you will not be able to afford them. 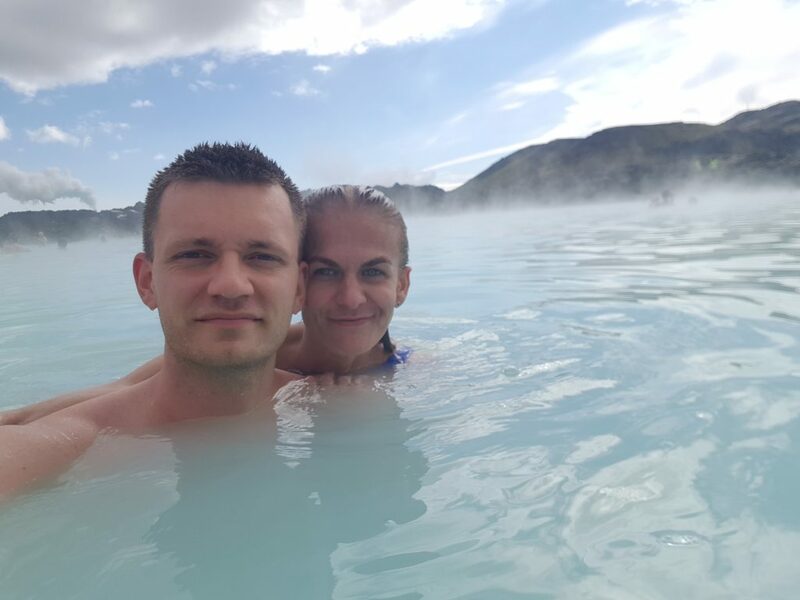 So, who would really like to visit Blue Lagoon in Iceland? 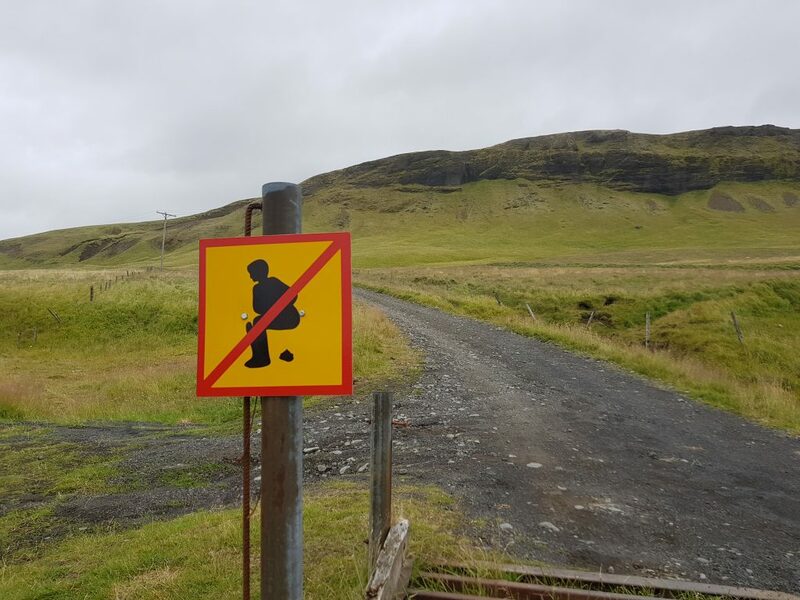 This supposed to be a top attraction in Iceland. Yes, the perspective of being finally rich was very appealing. But hold on! I know! What a big FAT lie! Why the hell they have named the beach like that?! It’s very miss-leading! 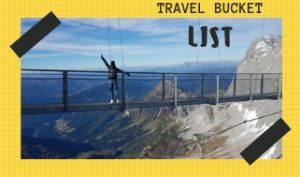 Don’t even think you will make money out of this trip! We have collected a few (please don’t tell them as we are not sure this was totally legal!) but none of the diamonds has survived the journey back to London! The main Geysir is broken! It erupts only after earthquakes, so you must be extremely lucky to see it – hopefully, you have more luck than us. 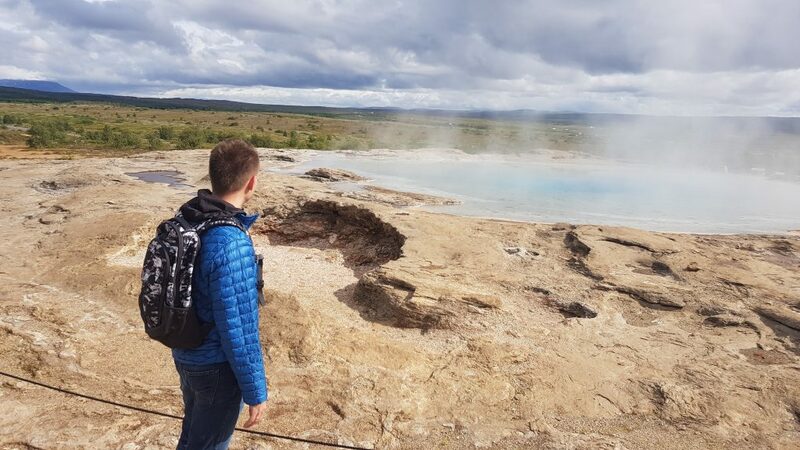 The main Geysir is not only broken but it also smells like old eggs! 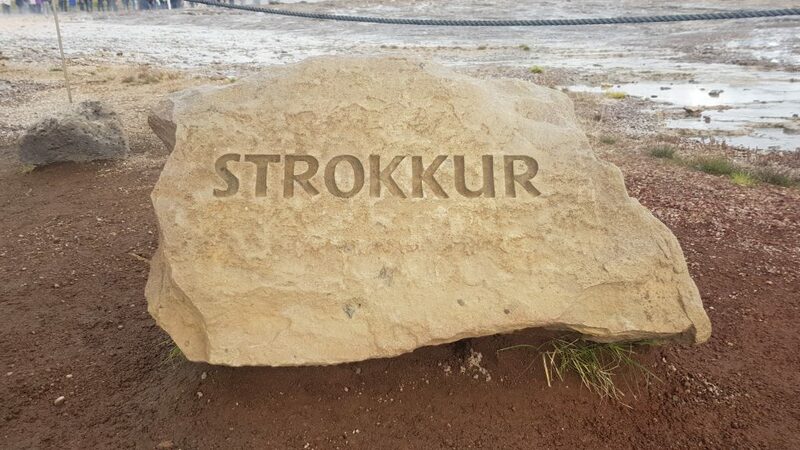 So instead of the main attraction, they let you watch Strokkur, which is only 30m high. If you would like to wash off the old-eggs-odour from your face, they will not let you! As you can’t touch the water! If you do that, you will burn your hands and the nearest hospital is 62 km away! 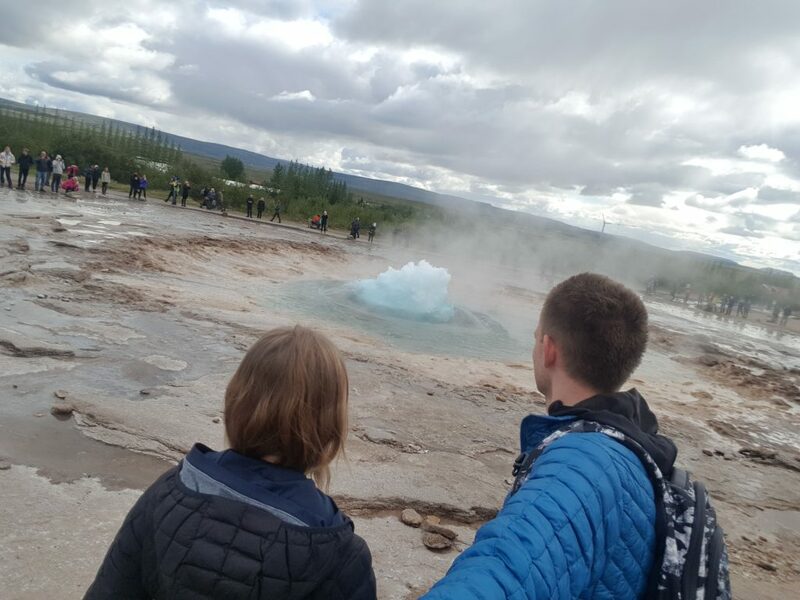 So, why the hell would go to see the Geysir in Iceland? 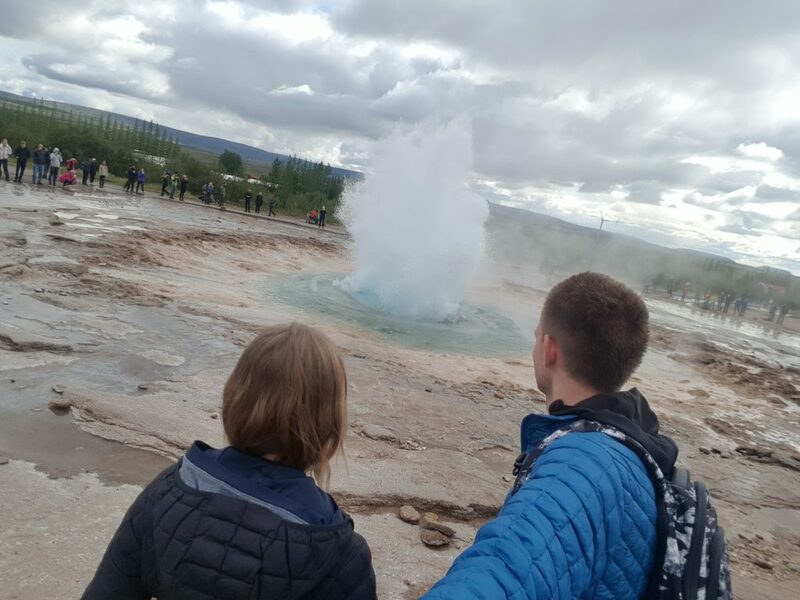 After your trip to Geysir (yes, the broken one!) you will end up either with burned hands or a massive headache. Those are considered medication in Iceland, so forget about getting your favourite Paracetamol from a petrol station. You will have to go to a pharmacy. 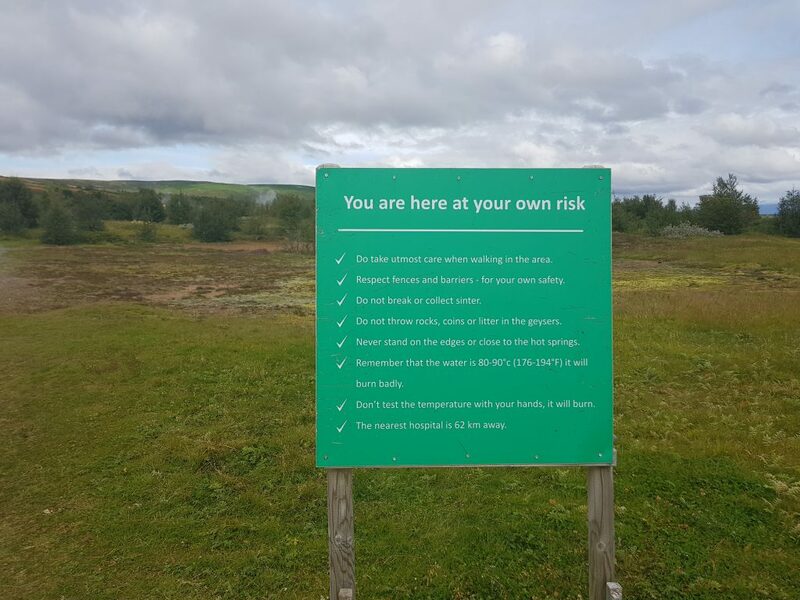 More bad news is, that those are not open on Sunday – make sure you visit Geysir after the weekend. 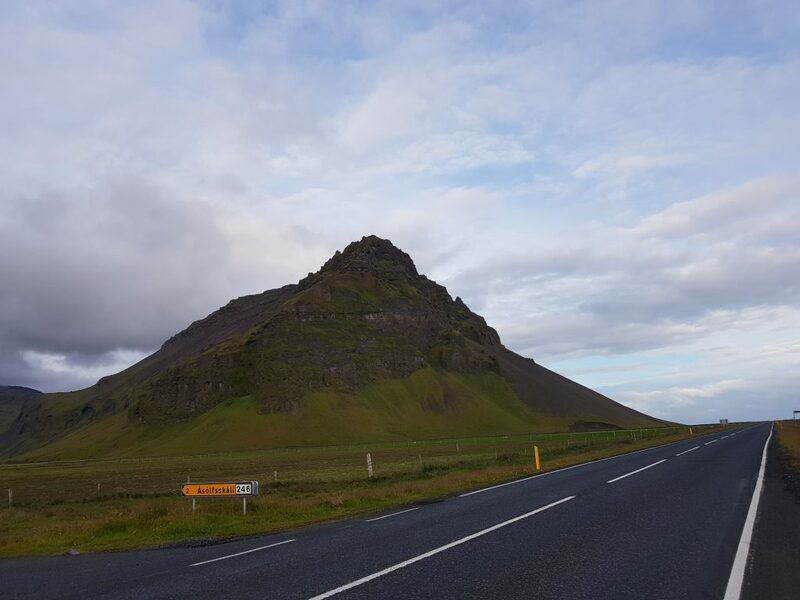 After a few disappointing trips, you probably think: OK, I have to see at least one of the best things in Iceland. 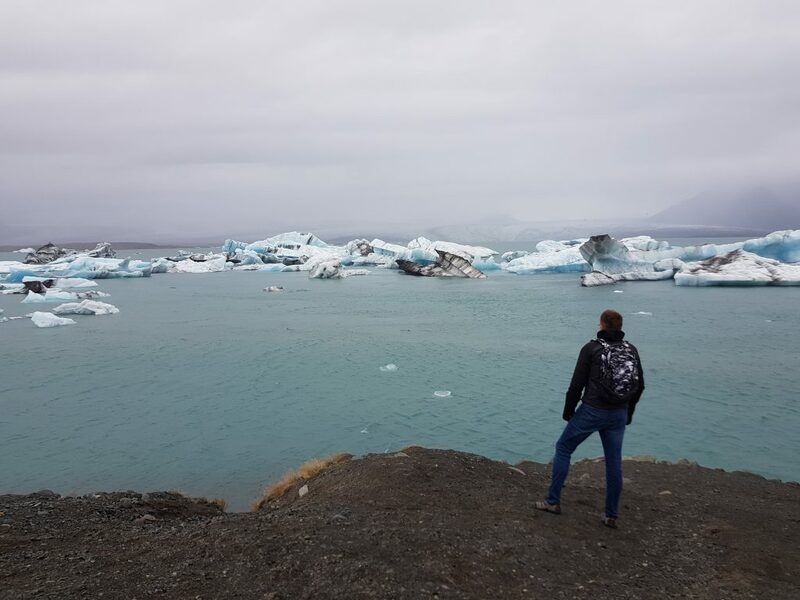 So you will go to the glacier lagoon. 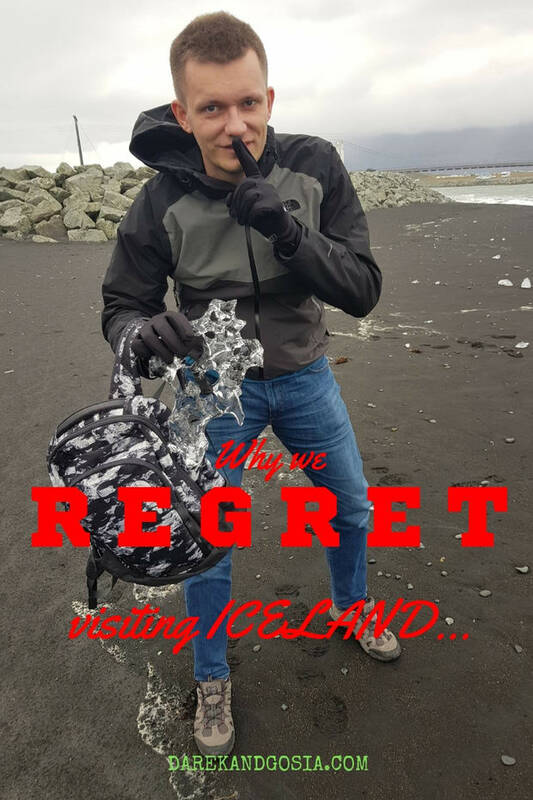 They let you watch the amazing Glacier Lagoon but don’t trust them! 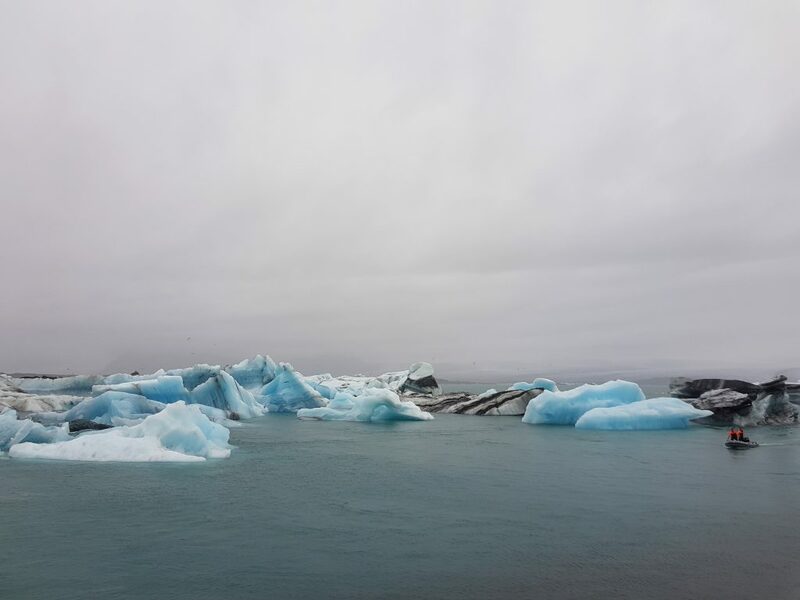 The icebergs have been painted in blue! 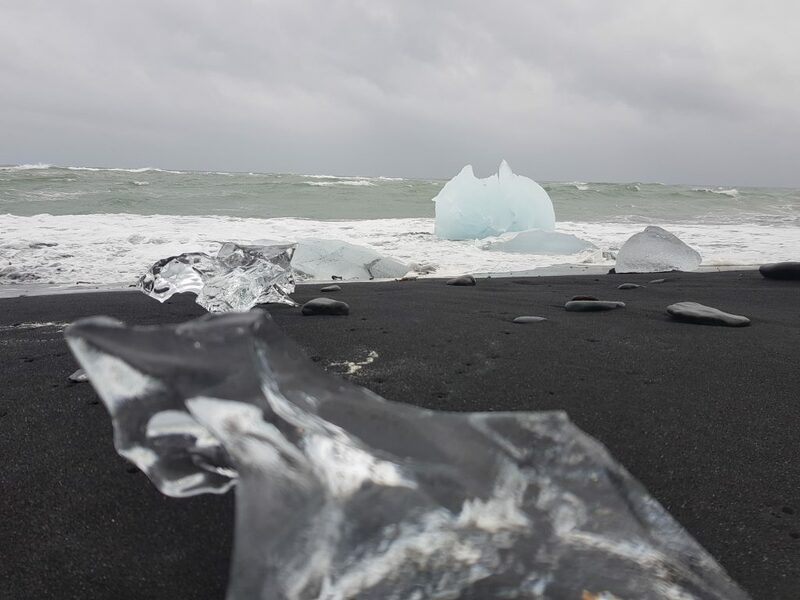 Who has ever seen such a colour of ice? Ice is white, right?! 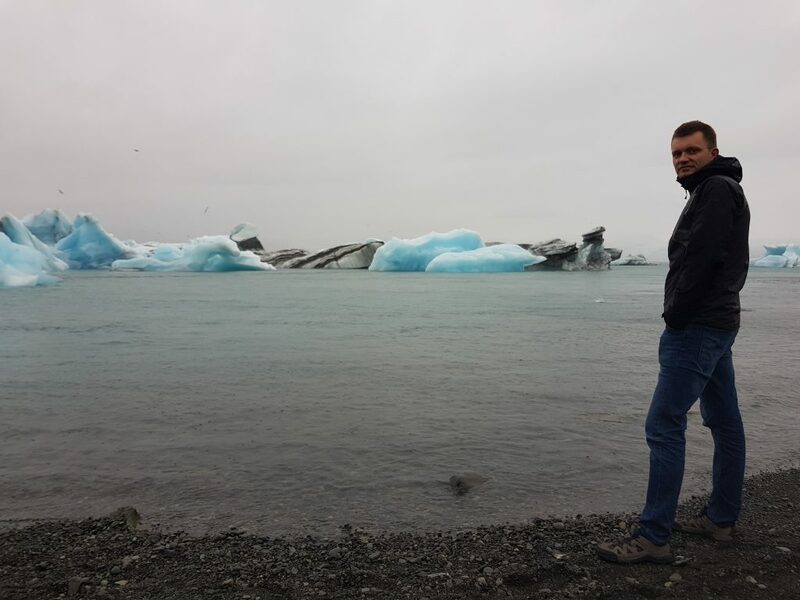 There are organised boat tours to paint the ice-bergs! We have caught them red-handed (see that little boat on one of our pictures). Shall we call Greenpeace?! 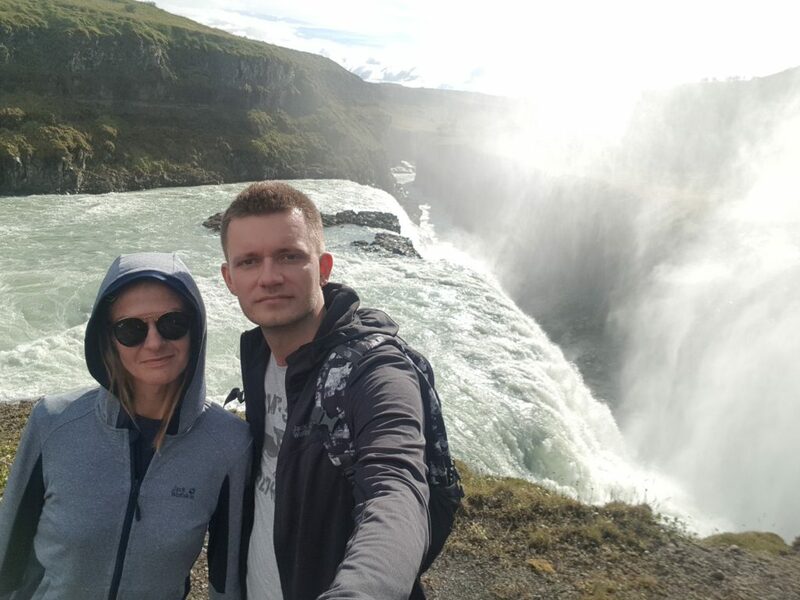 They let you watch this gigantic waterfall, which is nice of them. Finally! 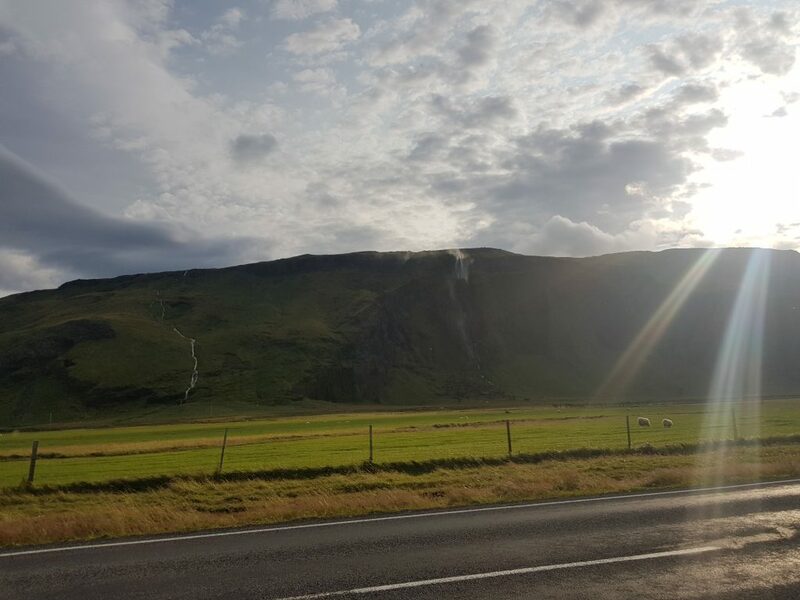 One of the best attractions in Iceland! But only when you get there, they will tell you that it’s not safe! 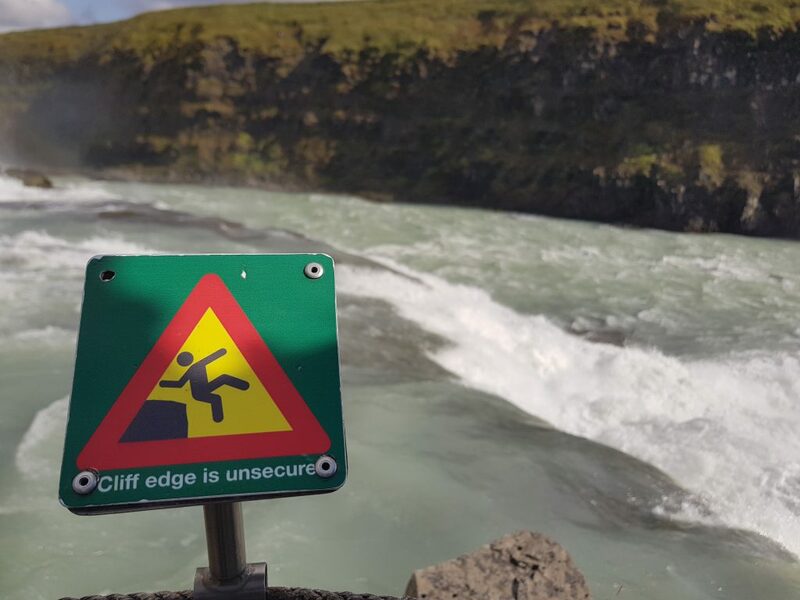 Why would you risk seeing the Gullfoss Falls in Iceland? 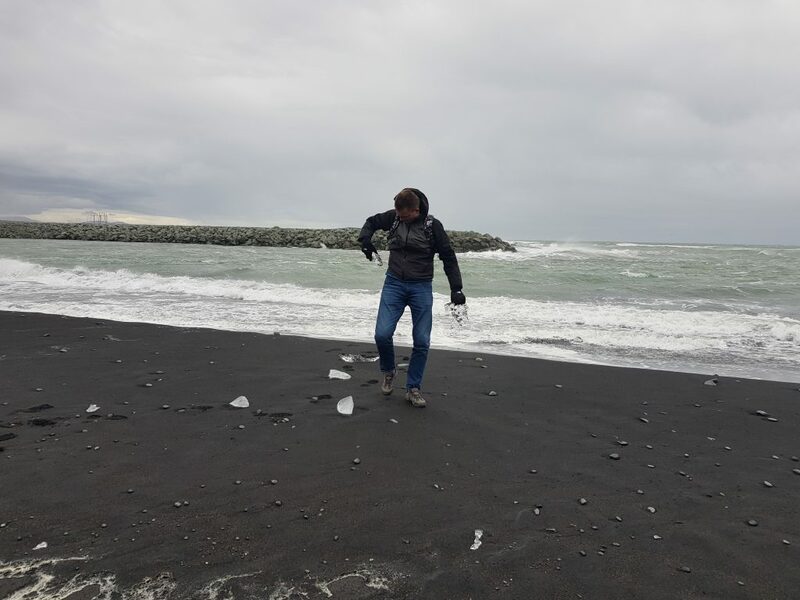 As we know, the weather is not really nice in Iceland. 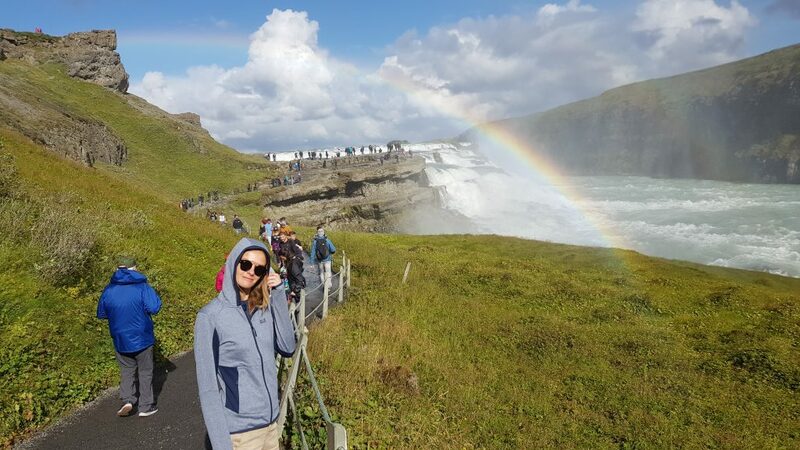 But somehow, they have managed to glue a rainbow to the Gullfoss – just so all tourists (whoever survives this extremely dangerous trip) can post a lovely picture of Iceland on Pinterest. 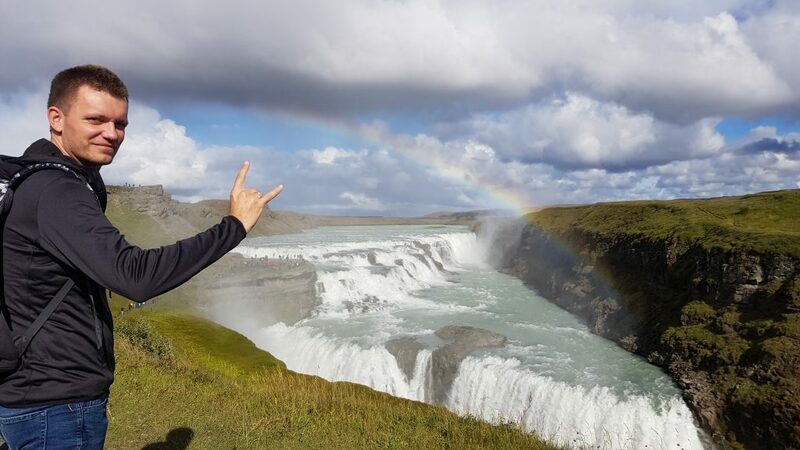 If you want to see the rainbow, be there before all the other tourists. Make sure you spend a night in the area. Good news (yes, finally one)! 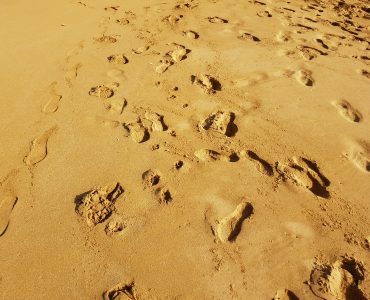 We have done the hard work for you and can confirm – there is no white sand on the island! 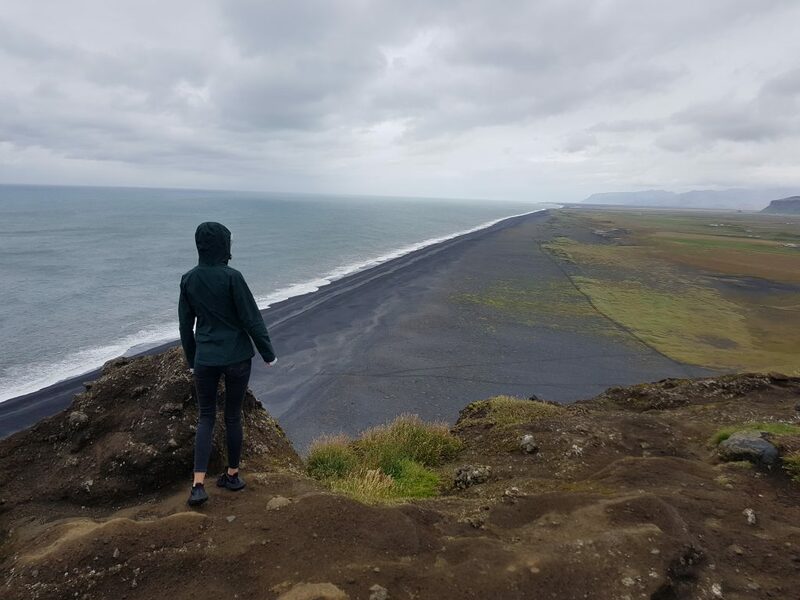 We have checked up close and even climbed on a mountain to double check from up high – only black sand! 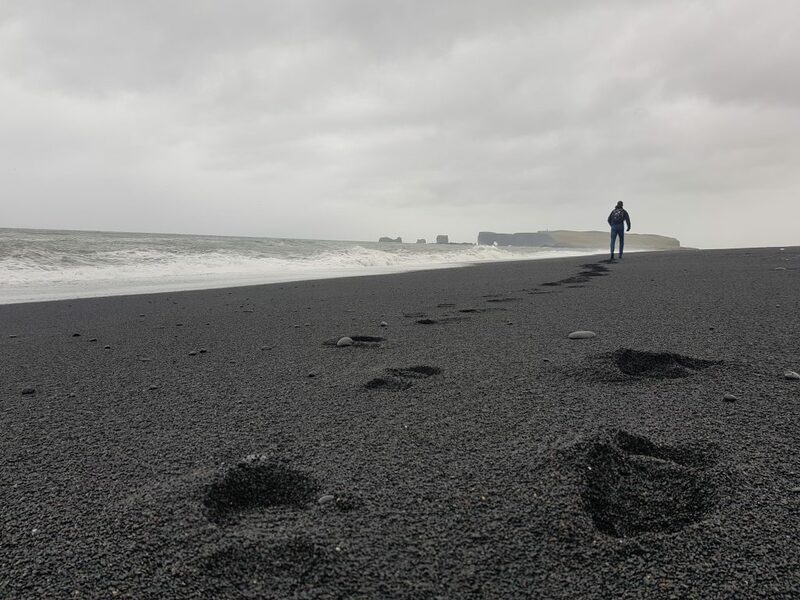 All fans of dirty shoes should stay in Vik, not far from the Reynisfjara beach. Why would you risk dirtying your shoes on that? Don’t rent a car! It’s a tourist’s trap! 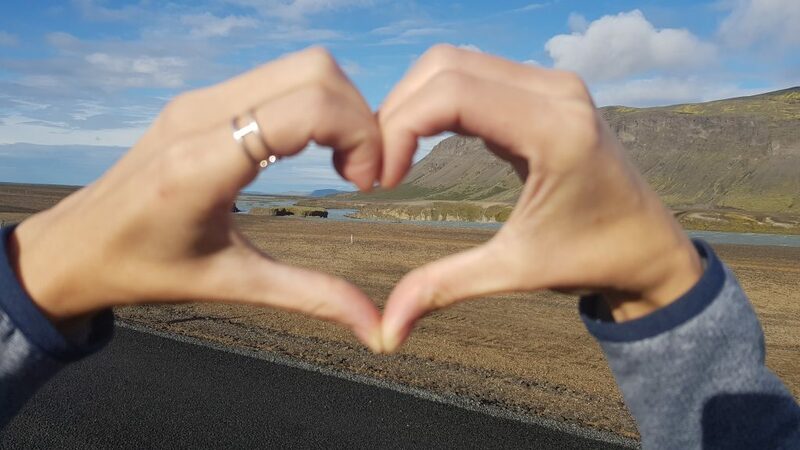 60% of the population live in Reykjavik. If you go outside of the capital city you will hardly see anyone! Too boring and too quiet! 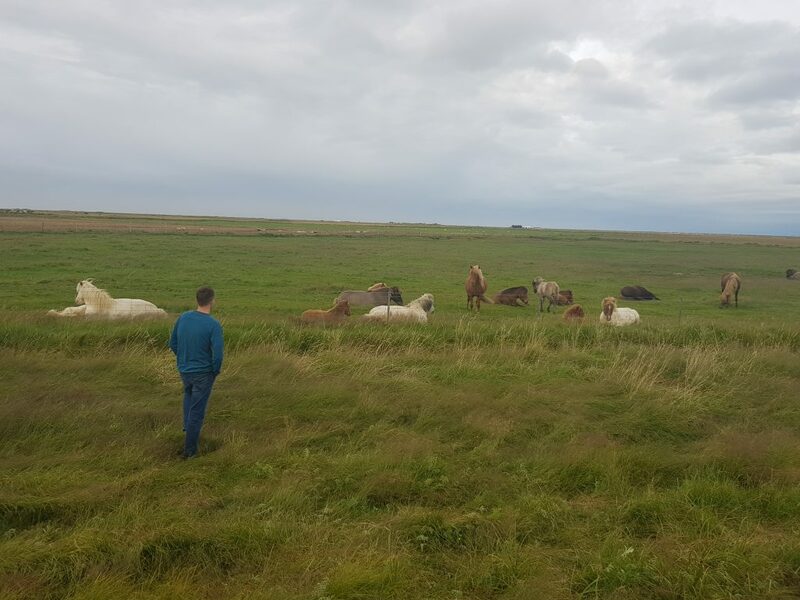 There are more sheep and horses than people! I bet, they just want to get rid of us tourists (don’t have proof at the moment)! So what are you left with if your car breaks down? 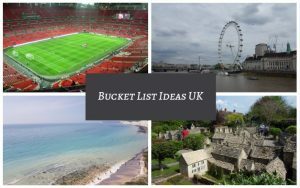 Not much to do apart from staring at nature – but who would like to do that?! …but is that really true…?! 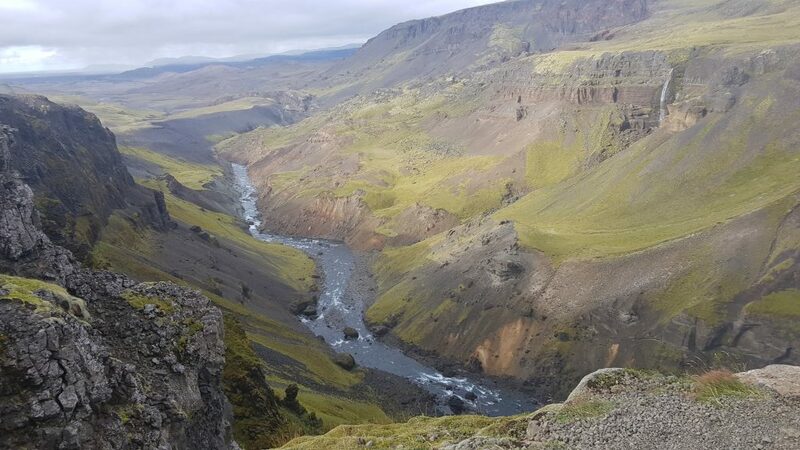 The Golden Circle in Iceland in NOT Gold! 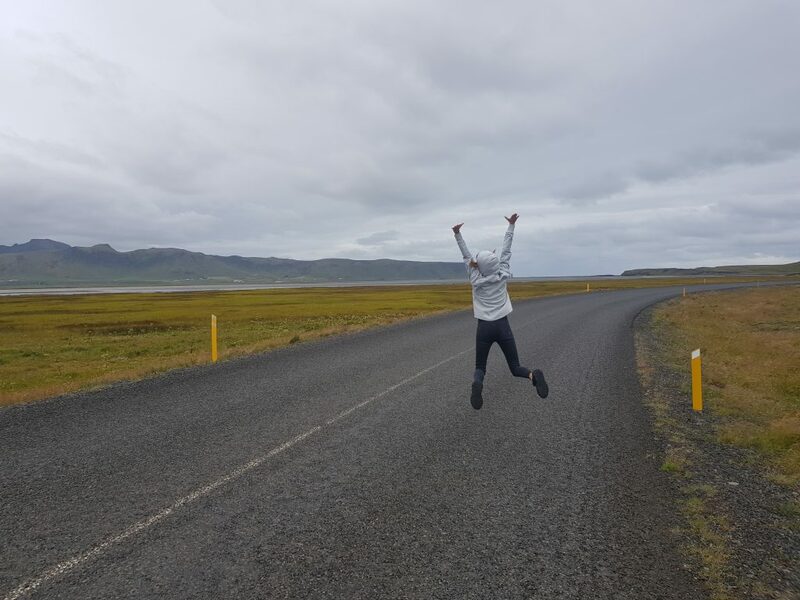 So, after a disappointing trip to Diamond Beach, we decided to visit the famous Golden Circle – one of the most advertised attraction in Iceland. I was really excited about the road trip and did hope to be finally rich. 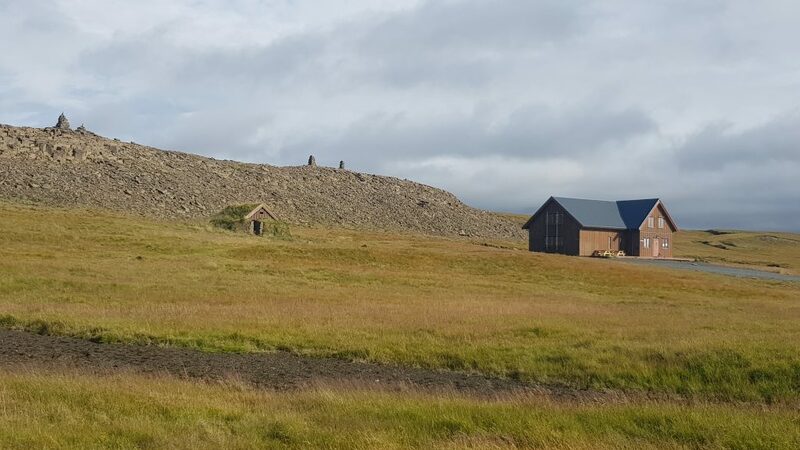 Having spent a few days in Iceland in August, we have managed to discover one of the top secrets of Iceland. 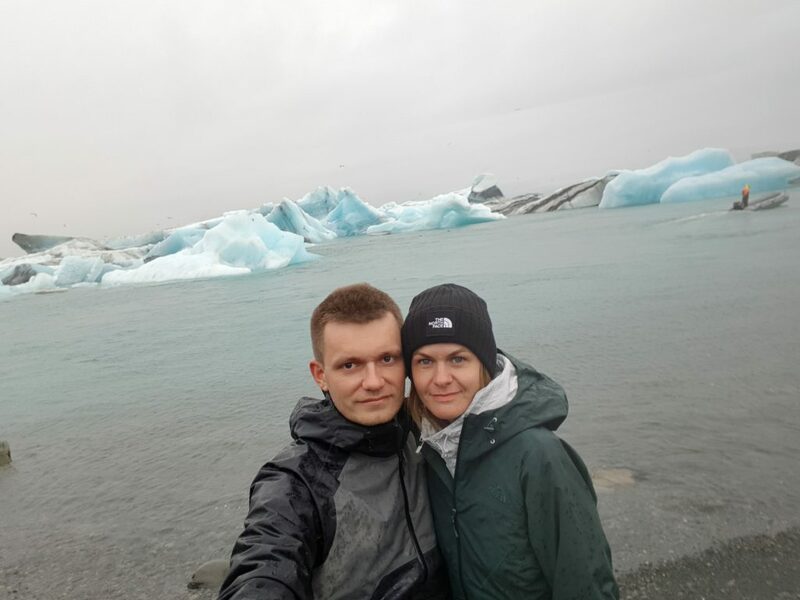 Icelanders keep the nice weather (and the breathtaking scenery of Iceland) to themselves. 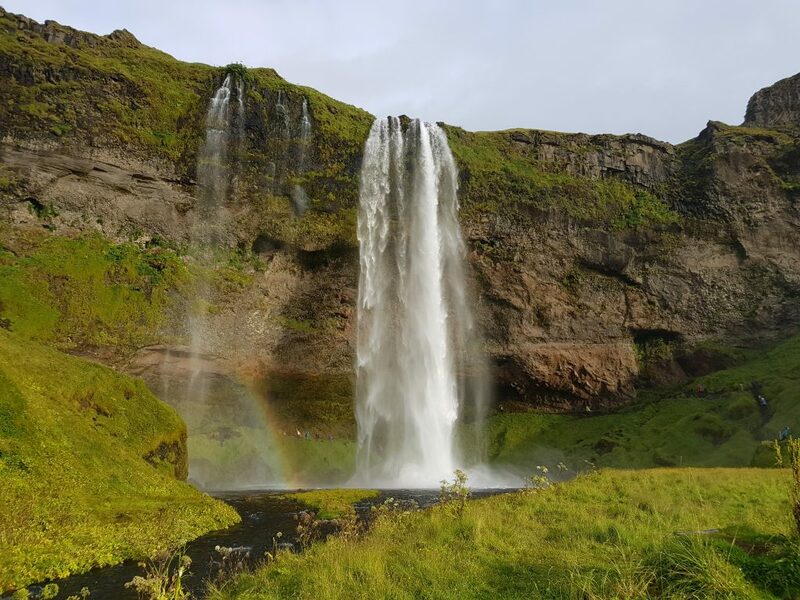 Make sure you stay in a hotel in Seljalandsfoss after visiting this stunning location! 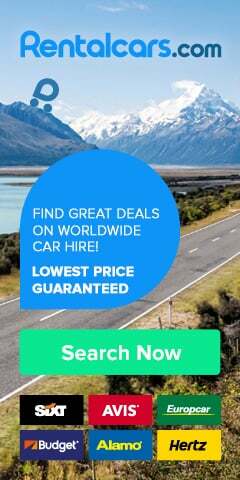 … before you book your flight, pay for the expensive hotel and rent a small car (which will probably break down when you go off-road)! You can really save money and a HUGE disappointment.